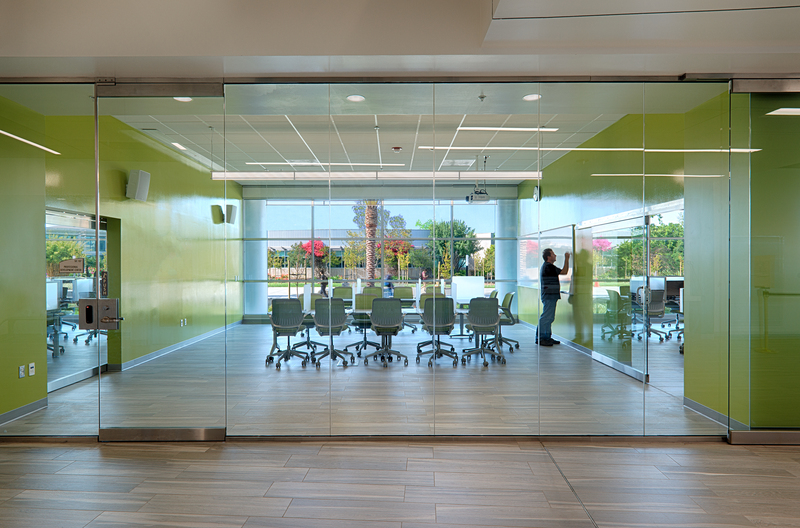 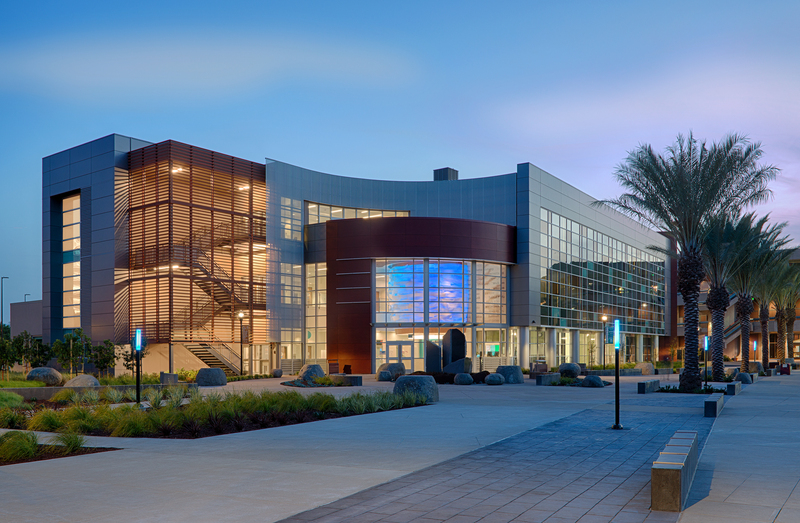 At long last, the official photos reveal the final results of the brand new Student Engagement Center at Mission College in Santa Clara, CA. 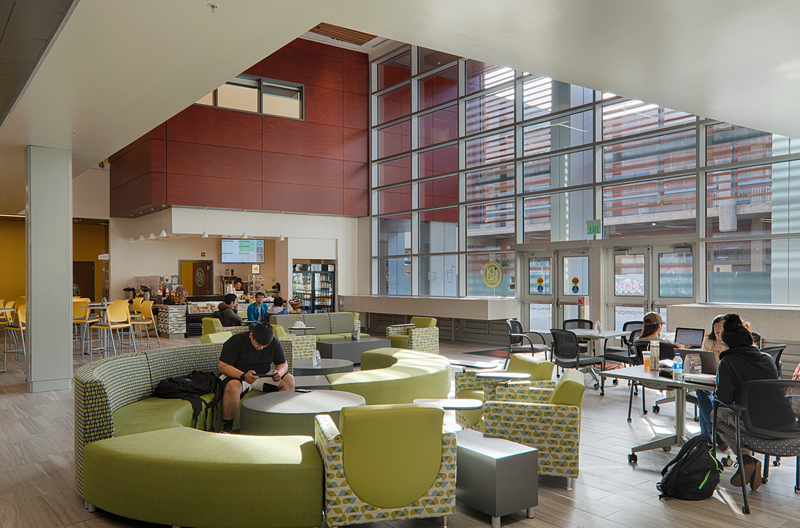 Lionakis has been working on projects on this campus over the last few years and this most recent completion of the 100,000+ square foot Student Center is already being put to great use by currently enrolled students. 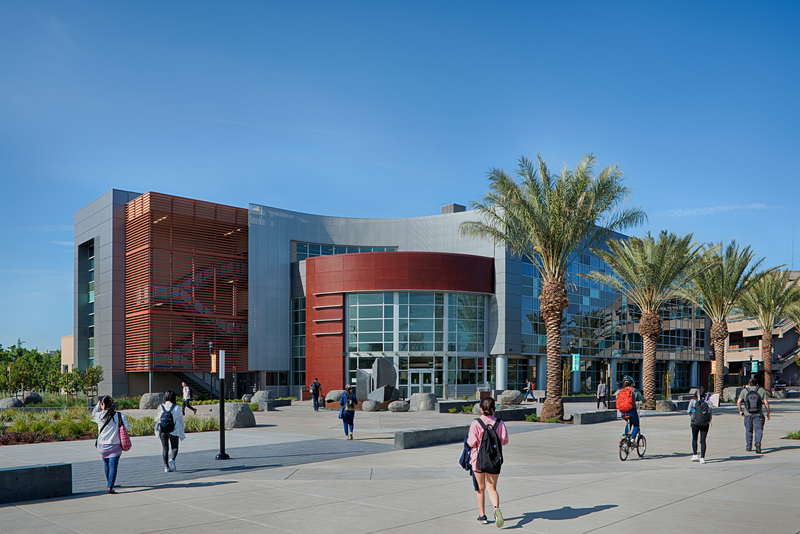 Within one will find the Welcome Center, Admissions and Records, Financial Aid, Health Services, Student Outreach and the Career/Transfer center among other departments. 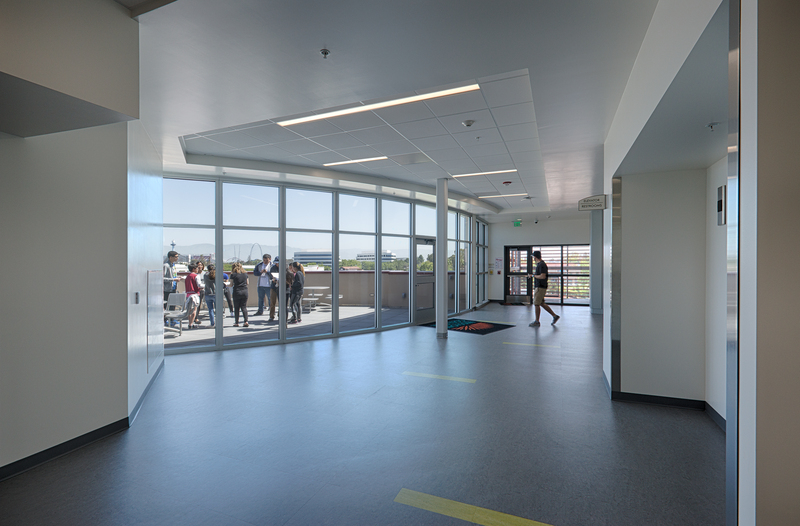 Lionakis also re-designed the campus entry-way area. 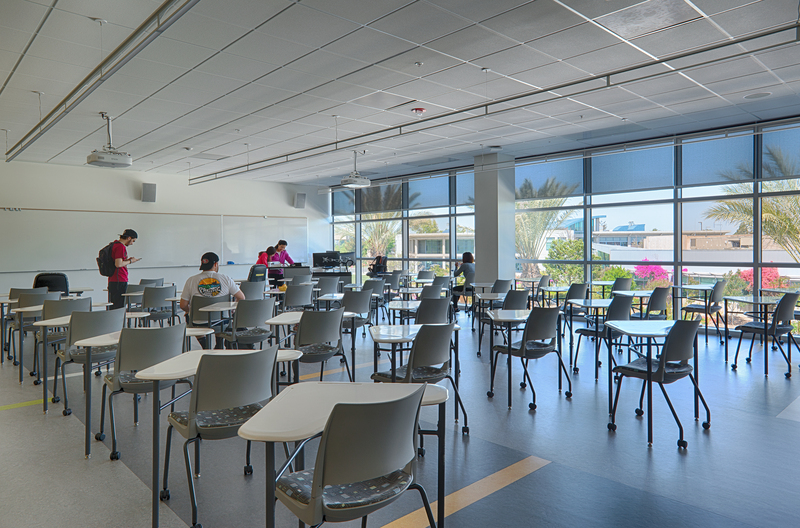 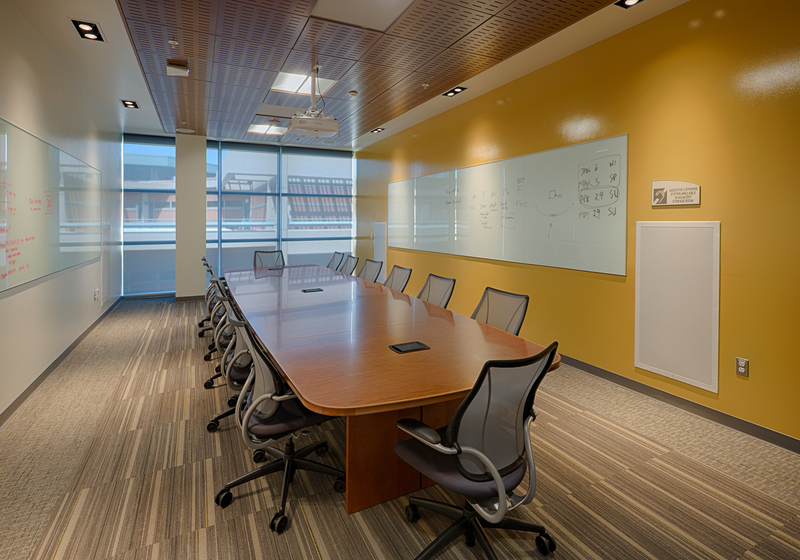 In addition to student services, there are also instructional spaces for Community Education, Group Study Spaces, Skills Labs, Tutorial Services and Faculty Offices. 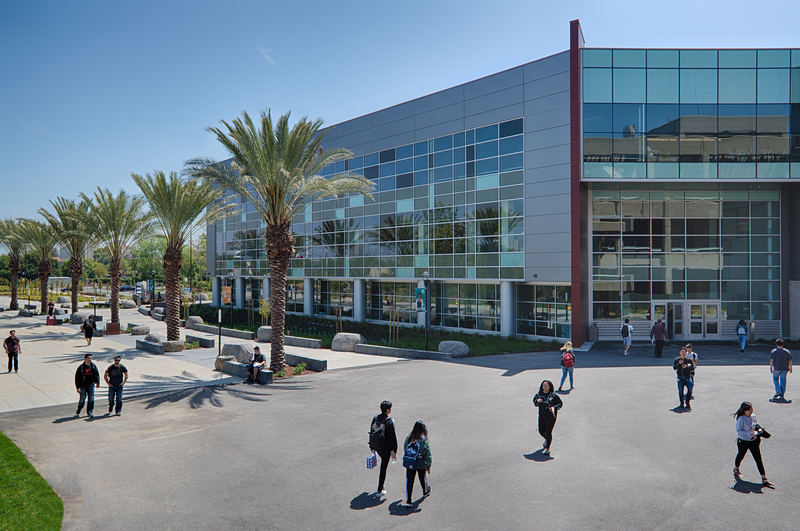 Additionally, a variety of Administrative Offices are located here and student gathering and study spaces are available throughout. 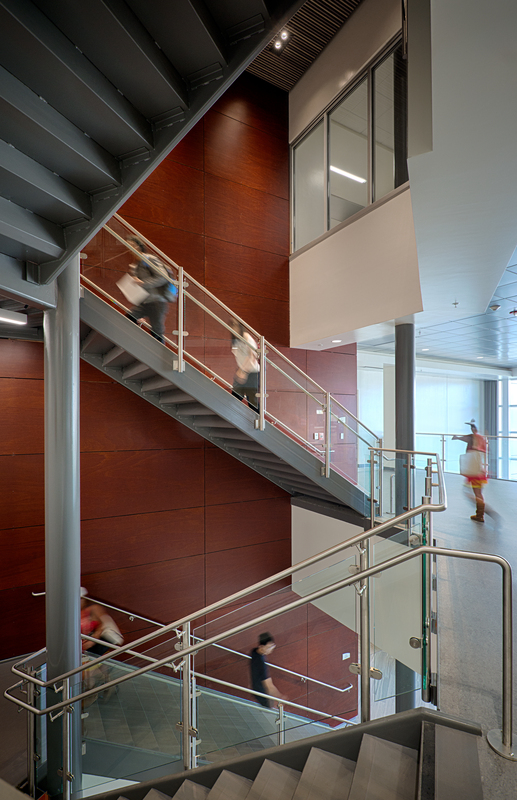 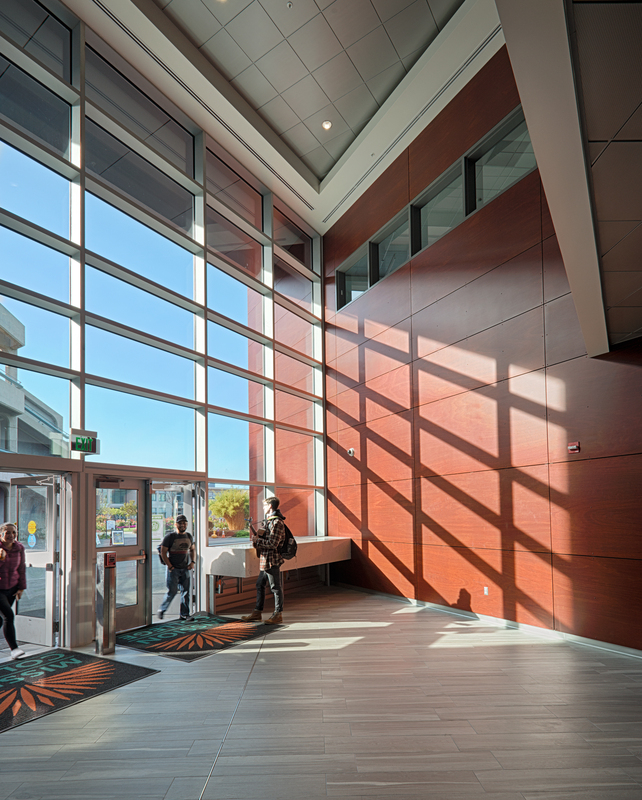 This main building replacement has been sustainably designed, notably incorporating large swaths of windows, doors and even walls that use as much natural daylighting as possible. 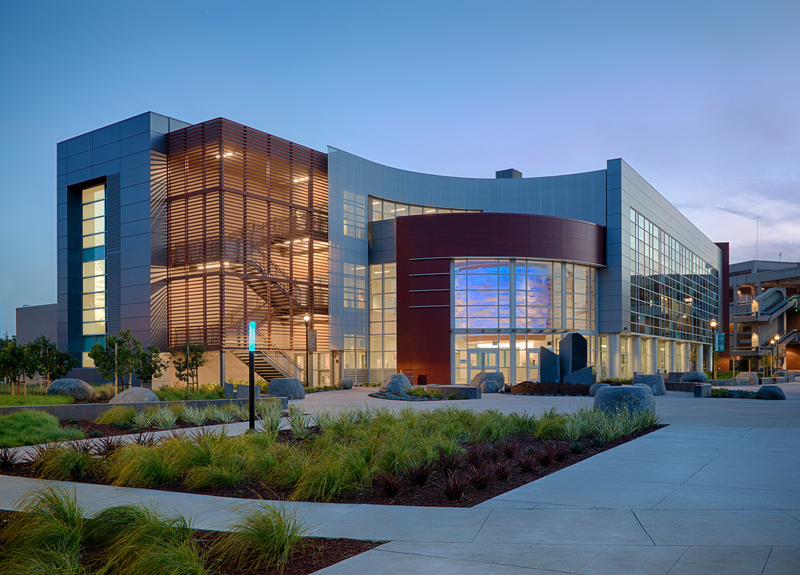 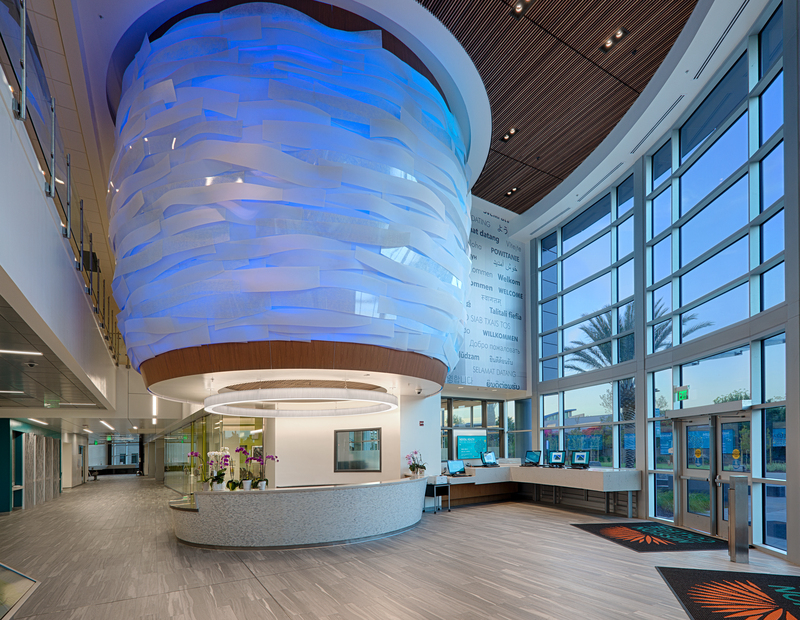 This building is registered with the certification goal of LEED Gold, with LEED Platinum being the ultimate target.